Sketchnoting Doodle Your Way to Better Learning and Effective Communication! | Free eBooks Download - EBOOKEE! Sketchnoting: Doodle your way to better learning and effective communication! Research has proven that when we write notes with our hands and draw images about things that we are listening or observing, the learning happens faster and retention of that information is much higher than taking notes on a computer or just writing textual notes. Sketchnoting involves using our left brain, right brain and our hands to take notes. This means that we are more present in the moment, are paying more attention to things in front of us, synthesizing the information gathered and are then representing it on paper using text and and sketches. In this class we look at simple ways of sketching or drawing things using few simple shapes and easy ways of emphasizing text to make our sketchnotes much more interesting, readable and memorable. 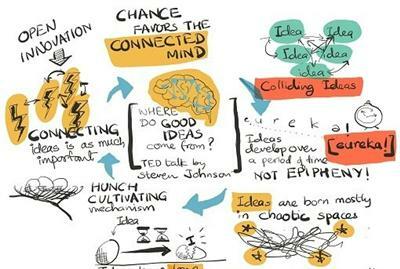 No comments for "Sketchnoting Doodle Your Way to Better Learning and Effective Communication! ".